Nokia Expected to Launch ‘the Most Awaited Phone’ This Month - Is It the Nokia 9? 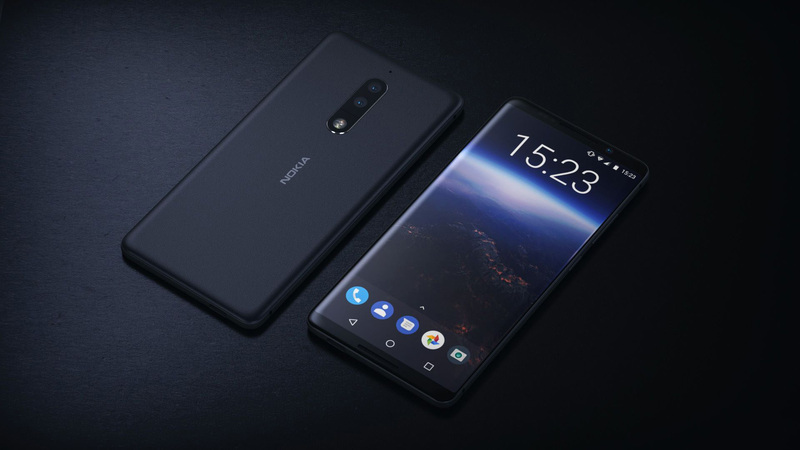 Nokia is going to release ‘one of the most awaited phones’ next Tuesday during an event. Unfortunately, the company hasn’t given any hint regarding the name of the phone, but if there is so much secrecy behind which device it is going to be, we have a strong feeling it is going to be the Nokia 9. Nokia announced this news on its Twitter page and from what we can tell related to the Nokia 9, it will presumably be powered by the Snapdragon 845 chipset. According to some rumours, the device will sport a 5.7-inch OLED display, making the upcoming flagship in the same category as the iPhone X and the Samsung Galaxy S9, but we’re afraid that the display quality might not be up to the critics’ expectations. One of the most notable features of the Nokia 9 is that it is expected to feature an in-display fingerprint scanner. Even though some phones on the market already have such a sensor, Nokia 9 could be the first phone to mark the entry of the feature in the mainstream market. The phone is expected to have a metal body, which was always on the cards, with the device also reportedly getting water-resistant protection. The battery inside the flagship is expected to be a 3,800mAh cell. The fate of the phone will also be decided by its camera. If it comes with a high price tag, as is expected thanks to its high-end specifications, people will expect exceptional camera results. Most flagship devices have a dual rear camera system these days so it will be interesting to see if the Nokia 9 goes beyond that. So far, details about the phone are sparse so we will only find out more on Tuesday although witnessing a triple-camera hardware setup might not be the craziest thing that HMD Global has thought of. Just like all Nokia-branded smartphones from HMD Global, the Nokia 9 might also a less-bloated version of Android and as an extra, treat, it might even ship with Android 9 Pie. We will find out more on August 21 when the phone is released so till then, keep your fingers crossed.